Bernard Tellegen was born 24 June 1900 in the Netherlands. He attended Delft University, where he obtained his degree in electrical engineering in 1923. In 1924 he entered into the service of the Philips Research Laboratories. These laboratories had been founded in 1914 by Holst and Oosterhuis. Tellegen belonged to a fairly small nucleus (van der Pol, de Groot, Penning, Druyvestein, Bouwers) around which one of the largest research centers in the world would grow. As a scientific adviser, he later became a member of its board of directors. Tellegen's first studies concerned vacuum tubes. He became interested in electron motions in triodes and multigrid tubes. In 1926 he invented the penthode, which was patented in a number of countries. It was the first in a series of about 57 patents, which he received either alone or in cooperation with others. In the following years Tellegen became interested in electrical circuits on which he published in 1928, 1933 and 1934. In 1932 it was noticed, that the programs of some transmitters from Beromünster, Switzerland, when received in the Netherlands, seemed to carry also the program of Radio Luxemburg and crossmodulation in the receiver tubes was suspected. Tellegen showed that this was really a nonlinear effect in the ionosphere, caused by the powerful Luxemburg transmitter. During his further studies in electrical networks, he became more interested in fundamental problems such as duality and geometric configurations and network synthesis in particular of resistanceless four poles. During his basic study of the classical passive network elements, Tellegen arrived at the conclusion that a further element "the gyrator" could complete the series in an elegant way. This new element does not comply with the reciprocity relations, and is antisymmetrical. Tellegen studied the properties of circuits with the "gyrator". Its first realization came in the microwave field with the use of premagnetized ferrites. The circulator was a further result of this idea. When the miniaturization of electronic circuits led to new possibilities, the gyrator soon became an important building block for selective circuits at low frequencies. In 1952 Dr. Tellegen published an important paper on a general network theorem with applications. Fundamentally "Tellegen's theorem" gives a simple relation between magnitudes that satisfy the Kirchhoff laws. Many treatises and a book on the application of this theorem were published. A paper on "Synthesis of 2n- poles by networks consisting of a minimum number of elements" proved his interest in economy. He also discussed the ideal amplifier or "nullor". When he was the guest of honor at the International Symposium on Circuit Theory, London 1970, he gave a paper on circuits with negative resistance elements. In the period 1946-1966 Tellegen was professor extraordinary of circuit theory at the University of Delft. Adams, Bordewijk and Duinker were among those who received their doctoral degree working with him. From 1942 to 1952 he was president of the Dutch Electronics and Radio Society, which made him a honorary member at the end of this period. From 1948 to 1960 he was chairman of the Dutch Committee of the International Scientific Radio Union (U.R.S.I.) He was vice-president of U.R.S.I. from 1952 to 1957. From 1957 to 1960 he was vice-chairman of its commission VI, especially charged with circuit theory. From 1946 to 1966, he was professor extraordinary of circuit theory at the University of Delft. 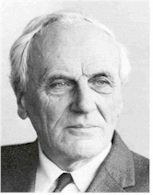 The Australian Institute of Radio Engineers made Tellegen a honorary life member in 1953. He received the Research Prize of the Royal Dutch Institute of Engineers in 1954, the Fellow Award of the IEEE in 1955, and the IEEE Edison Medal in 1973 "For a creative career of significant achievement in electrical circuit theory, including the gyrator". Tellegen was elected a member of the Royal Academy of Sciences of the Netherlands in 1960. In 1970 the University of Delft conferred on him the degree of doctor honoris causa in technical sciences. Tellegen and his wife, the former Gertrud J. van der Lee, had two sons and a daughter, as well as many grandchildren. The couple lived amidst the woods and fenns of the beautiful North Brabant countryside. In long walks they learned to know every part of it. In connection with his international conferences they visited many countries and made a world trip in 1952. Dr. Tellegen passed away on 30 August 1990. This page was last edited on 19 January 2016, at 15:25.